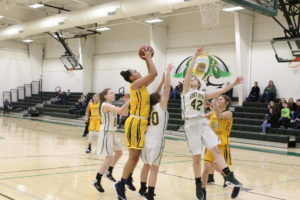 The Cougars pounced to the lead on the opening drive and managed to keep Tucker County in check for most of the game before blunders were amplified in the muddy conditions late in the game enabling the Mountain Lions to claw out a 21-12 victory in Parsons last Friday. “We played some of our best football tonight. We have been waiting a long time to see that. We knew the talent was there and we finally got the effort. I thought we had them. 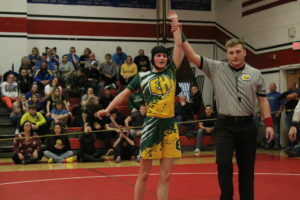 The boys really deserved to win,” East Hardy Coach Devon Orndorff remarked. East Hardy’s Austin Alt took the kickoff to the 35-yard line to commence the game, then added a five-carry on the first possession and was stopped by Tucker County’s Raine McCauley and Byron Gidley. Facing third down, East Hardy quarterback Aden Funkhouser went to the air finding Chance Dove in stride for a 60-yard touchdown strike and the extra point attempt went awry for a 6-nil lead at the 10:35 mark. Mountain Lions (6-1) started at their own 39-yard line as the kickoff was short and out of bounds, then Cole Rapp hurdled a defender prior to being tracked down by Funkhouser on a first down carry of 19 yards to the Cougars 42-yard line. Tucker County quarterback William Hood was tackled for no gain by a pride of Cougars (0-6) led by Aaron Fishel followed by Logan Whetzel, William Strawderman and Jeffrey Mills. Alt and Ryan Rogers combined for a double dose of tackles for minimal gain leading to a Mountain Lions punt which bounced out at the nine yard line. East Hardy’s Adam Larson caught a pass and dodged several tackles before being chased down by Rapp and Hunter Collar on a gain of seven yards. Funkhouser didn’t gain anything to the outside, then Dove caught a pass for a four yards before the Cougars punted. Tucker County started at the 47-yard line and burned six minutes off the clock on a 15-play scoring drive to take the lead. 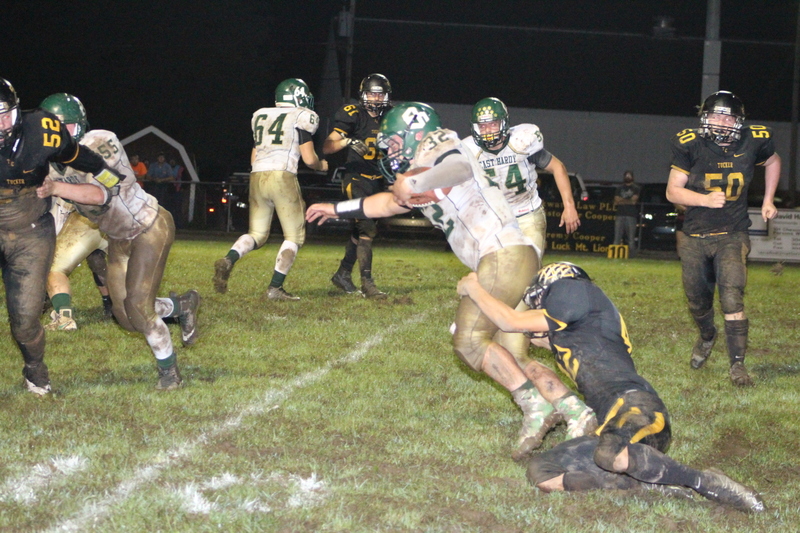 East Hardy’s Erik Flynn joined Strawderman and Alt in tackling Tucker County’s Ben Callaway on a one yard pickup. Calloway snatched a first down pass from Hood for 14 yards with Funkhouser making the tackle. After a false start, Rapp added six yards and was stopped by Fishel. Tucker County’s Ben Cromer made a sideline catch stepping out with the ball dropping, but it was ruled good for another seven yards. The Mountain Lions converted third down on an East Hardy offsides penalty. Rapp was stopped on a two-yard run by Alt, then failed to get past the line of scrimmage on a tackle by Whetzel and Rogers. East Hardy’s Andrew Tharp tackled Cromer on a three yard catch forcing fourth down at the edge of the red zone, but Tucker County eluded the coverage with Callaway making the catch for a first down and was taken down by Mills and Alex Miller at the 15-yard line. Miller tripped up Callaway for a two-yard loss in the backfield, then a false start pushed the Mountain Lions back before Gariet Pennington caught a pass for five yards. 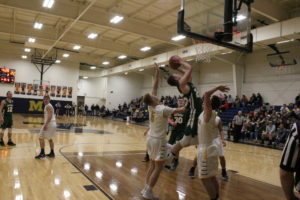 On fourth down, Hood connected with Jeffrey Snyder for a 17-yard touchdown pass with nine seconds remaining in the first quarter and Callaway nailed the extra point to give Tucker County a 7-6 lead.